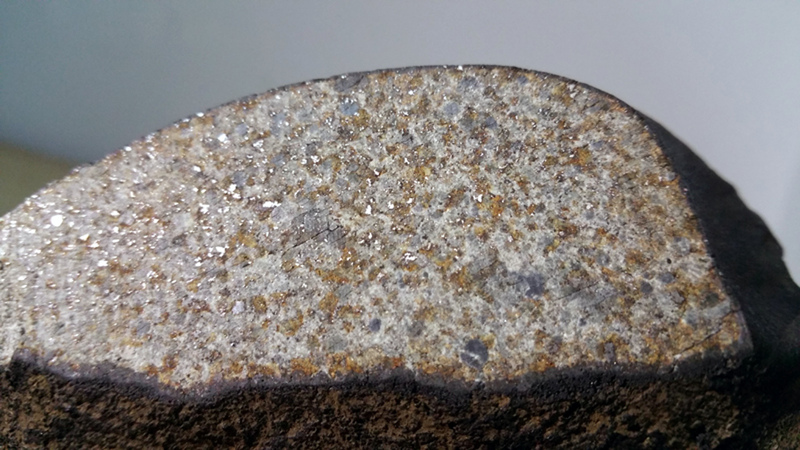 A meteorite (32 x 23 x 18 cm), ordinary chondrite (L5,S2,W0), weighing 10.05 kg fell about 5 km southeast of Mǎn Zhǎng Xiāng (满掌乡) at location 33°15’11″N, 100°27’54″E in northern Banma County (班玛县/པད་མ་རྫོང་), Golog Tibetan Autonomous prefecture (果洛藏族自治州/མགོ་ལོག་བོད་རིགས་རང་སྐྱོང་ཁུལ་), Qinghai (青海) province in China at around 9 pm China Standard time (UTC+8) on August 24, 2016. 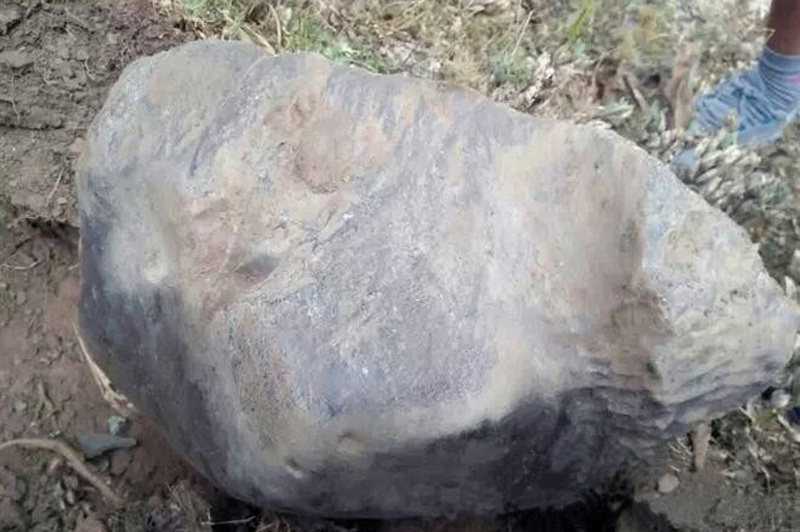 According to Chinese (social) news media the bright flare of the bolide was seen by Duogongmaxiang (多贡麻乡) villagers in the region and detonation sounds were heard. 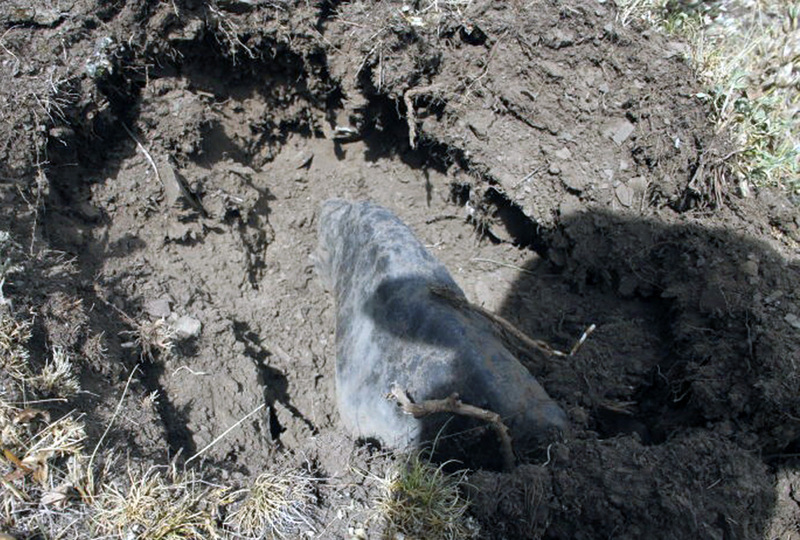 The eye-witnesses first thought there had been a plane crash and informed the police which searched the area in vain. 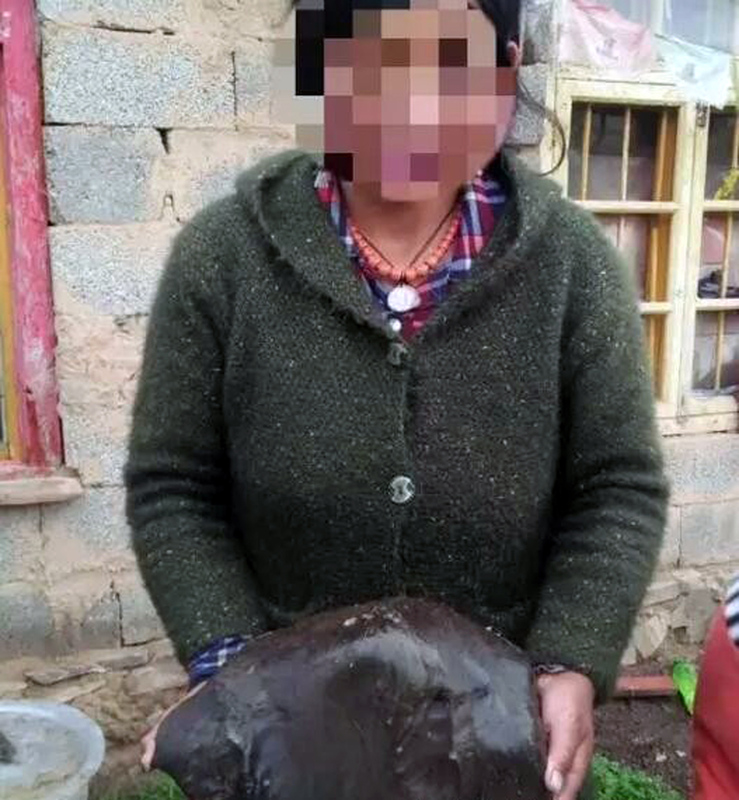 In the morning of August 25 (before 11 o’clock (UTC+8)) the regmaglypted, flight-oriented, and intact meteorite was found by two local Tibetan herdswomen, a mother and her daughter, at the bottom of an impact pit (~50 cm wide x ~100 cm long x ~40 cm deep) in the sodden soil of the southeastern 60-degree slope of a grassy hill about 210 meters from the border of Darlag County. 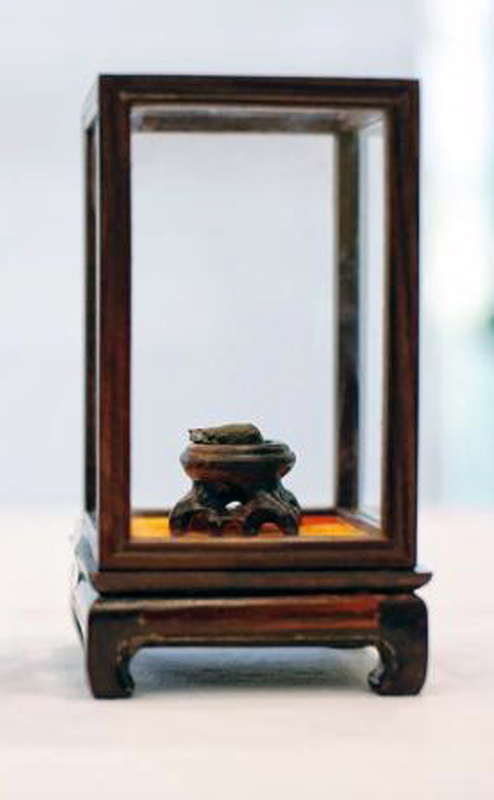 One of them, Qiáo Bǎo (喬寶 or 乔宝) was collecting (medicinal) herbs on the mountain (maybe cordyceps sinensis fungus-caterpillar bodies or Fritillaria delavayi) 565 meters from a herdsman’s home in the Mànzhāng river valley when she found the meteorite, whose shiny black color struck her because it looked different compared to the surrounding rocks. 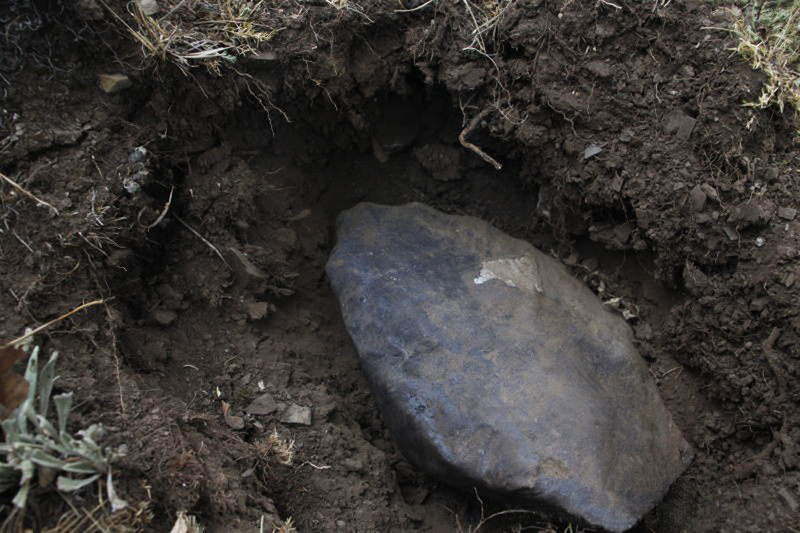 Qiáo Bǎo remembered the sound of a bàotāi (爆胎), ‘a bursting tire’ she had heard nearby the evening before while doing farm work outside her home at an air temperature of almost zero degrees. 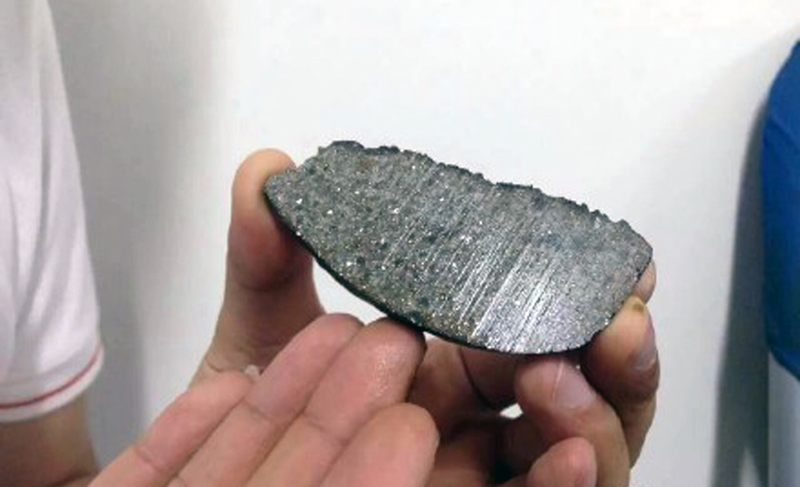 She didn’t dare to touch the meteorite because she was afraid of radiation. 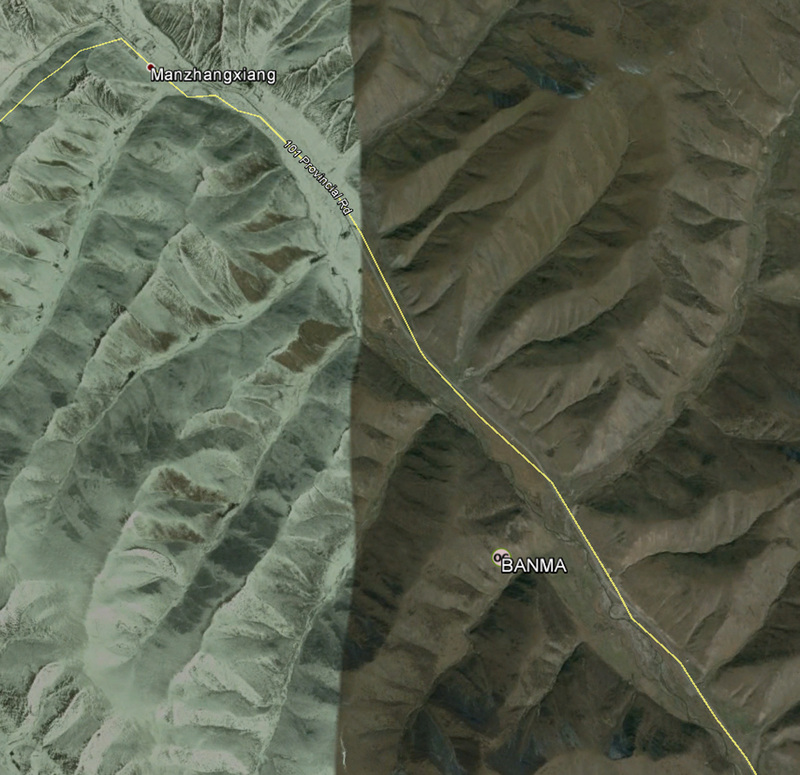 She contacted the police station in Duogongmaxiang, situated 21.5 km from the fall location to inform the authorities. 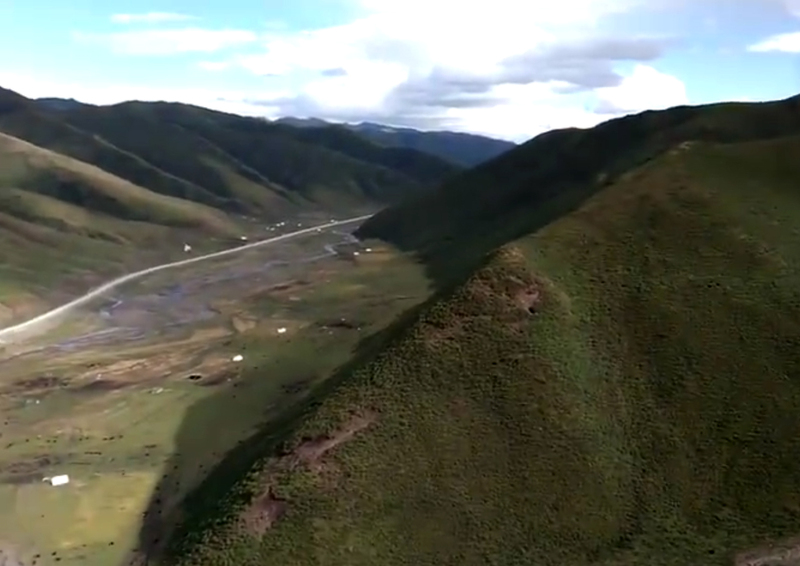 At 11 am on 25 August Gàn Jīnlóng (干金龙), head of Banma County’s Land and Resources Bureau, received a phone call of the county’s public security bureau and was informed about the report. 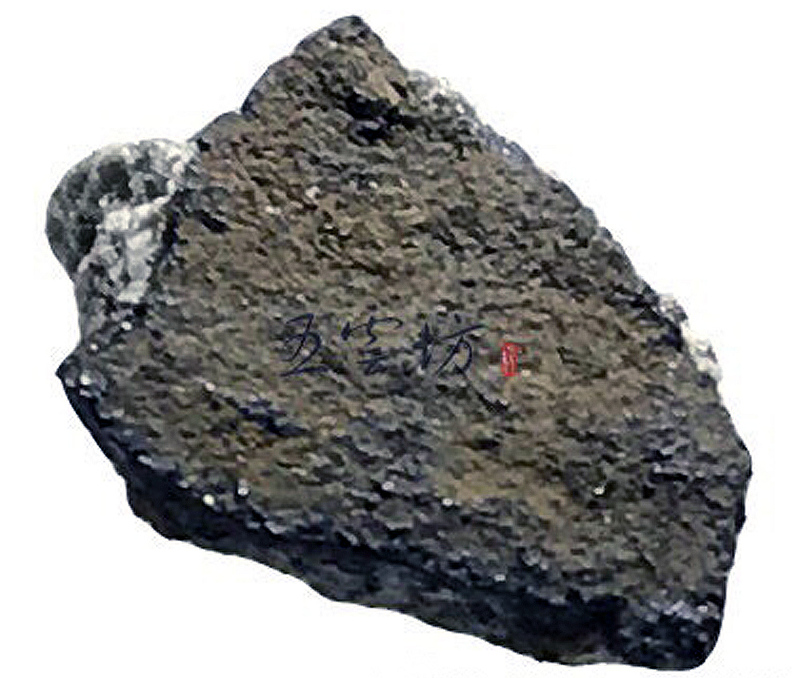 The policeman Ángqīng Nímǎ (昂青尼玛) and his colleagues went to the fall location to investigate. 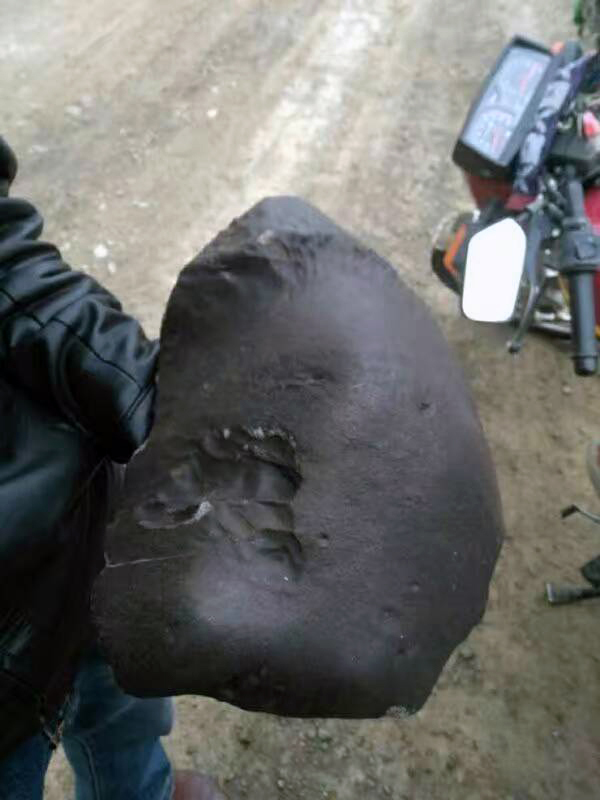 He was the first to touch the meteorite, dug it out and declared that the rock posed no threat. 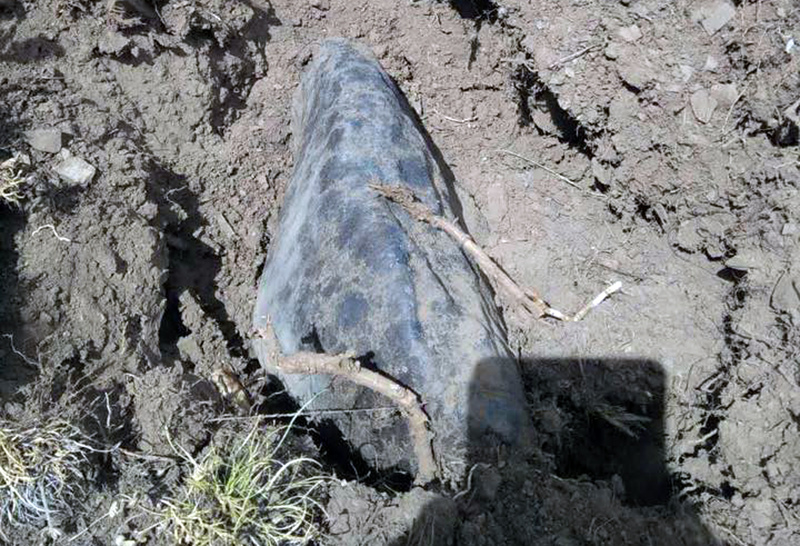 Subsequently the meteorite was removed from its fall site and carried down the hill. 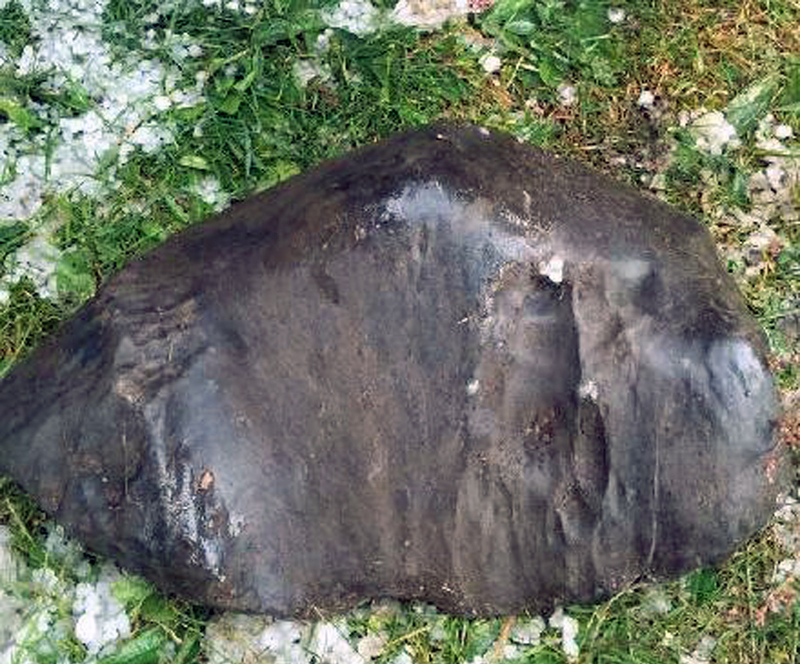 A hail storm forced the men to stop further investigation and search for other meteorites. 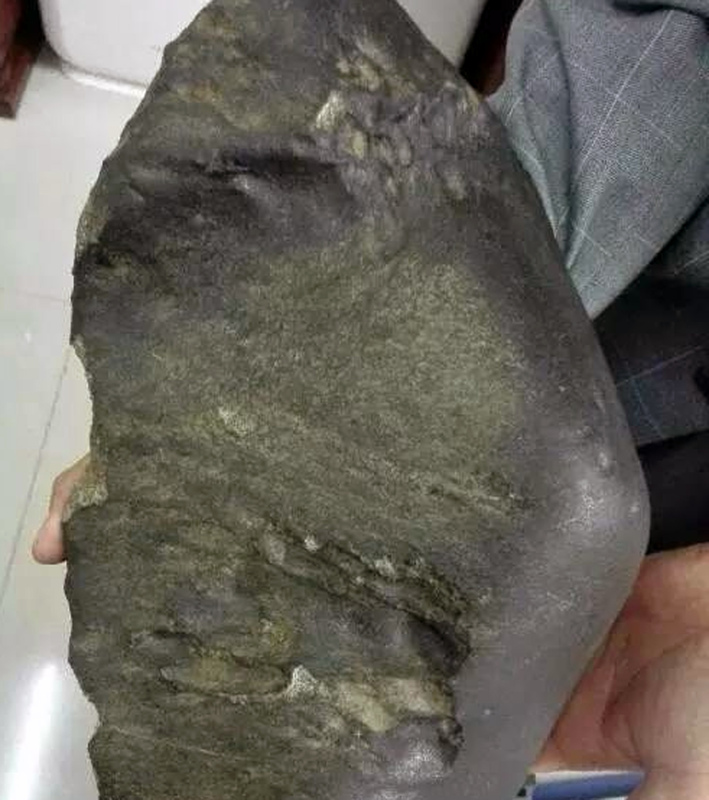 Banma County deputy magistrate Liú Jiànfēng (刘剑锋) contacted Xú Wěibiāo (徐伟彪), Director of the Laboratory for Astrochemistry and Planetary Sciences in Nanjing, on 26 August and sent photos of the meteorite. 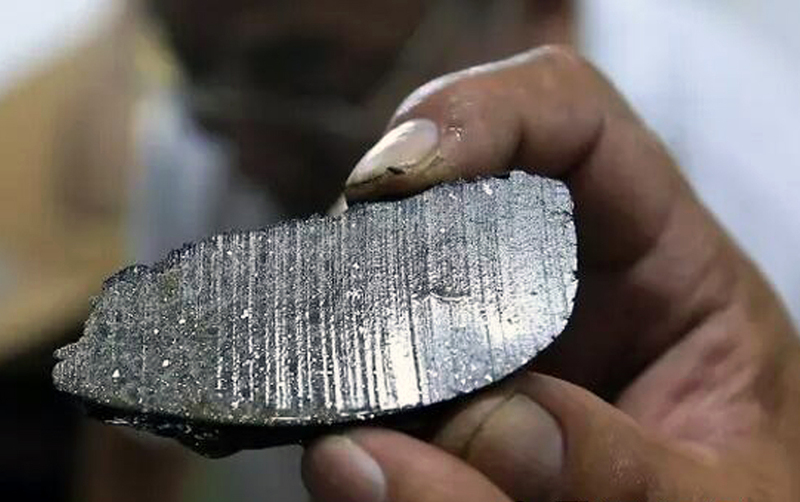 On visual inspection Xú confirmed the authenticity of the meteorite. 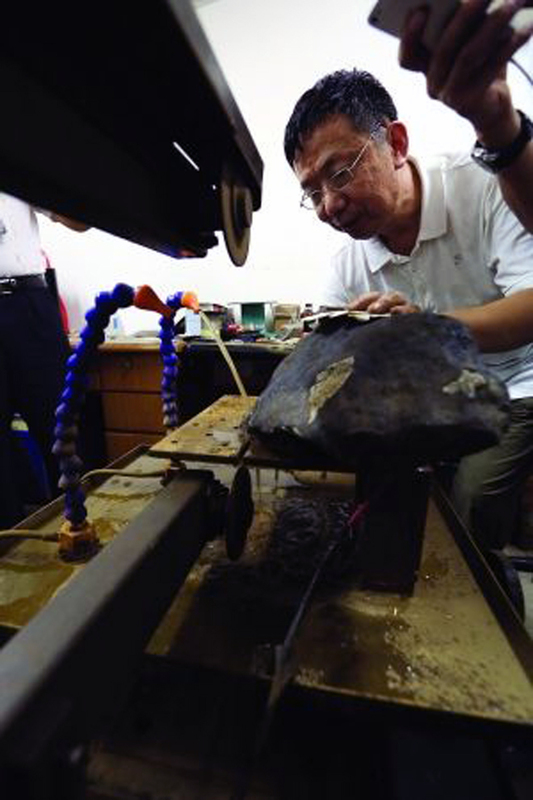 At the end of August Dr Hú Sēn (胡森), cosmochemist at the Institute of Geology and Geophysics, Chinese Academy of Sciences (CAS), Prof. Miào Chuāntǒng (缪秉魁) of Guilin University’s School of Earth Sciences, geochemist Zhāng Bǎolín (张宝林) of the Institute of Geology & Geophysics, CAS, meteorite enthusiasts Zhāng Bó (张勃), Léi Kèsī (雷克斯) and others traveled to Banma county to inspect the fall location in the early afternoon of 1 September. 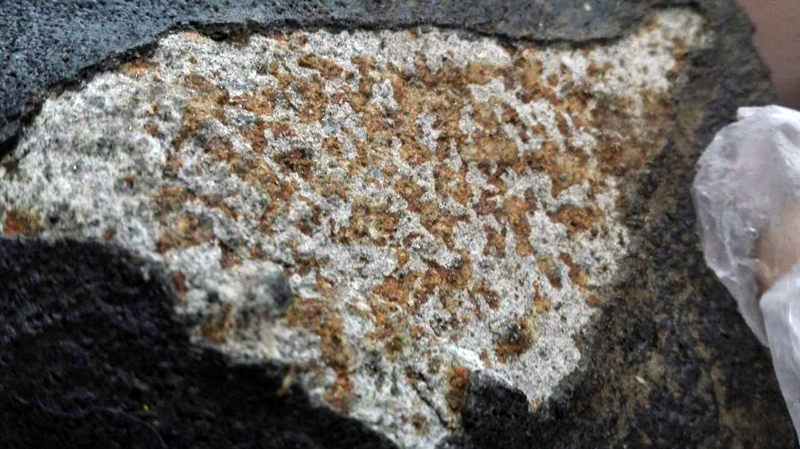 According to an informal survey around Duogongmaxiang there are apparently only 13 eye-witnesses of this meteorite fall. 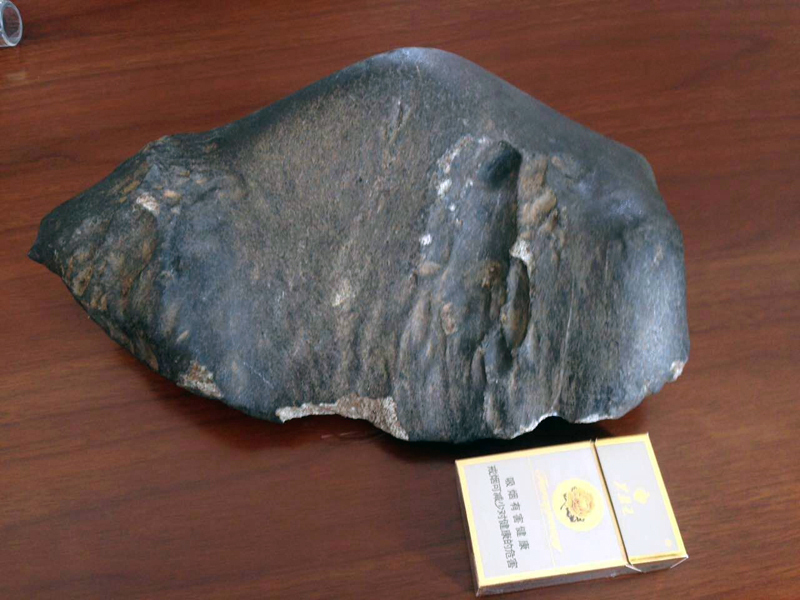 On 5 September, accompanied by Gàn Jīnlóng (干金龙), head of the Banma County Land and Resources Bureau and meteorite enthusiast Zhāng Bó (张勃) the meteorite was brought to the Purple Mountain Observatory’s (PMO) Laboratory for Astrochemistry and Planetary Sciences in Nanjing where on 7 September the classification process by Prof. Lín Yángtǐng (林杨挺) began by cutting a 64-gram slab off the meteorite by engineer Tán Jiànyún (谈建云). 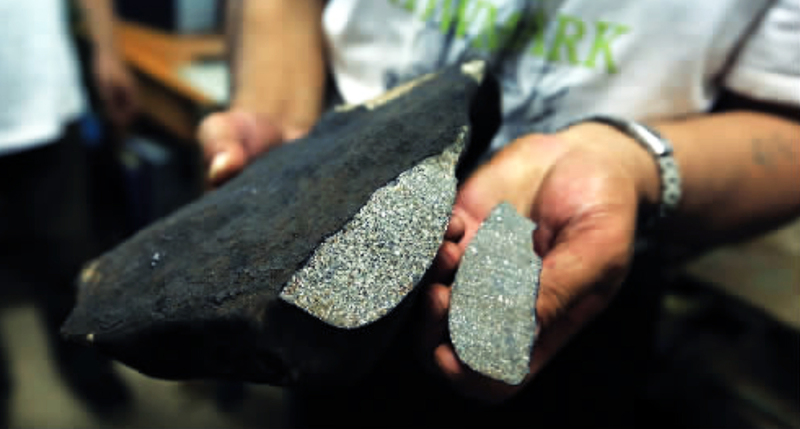 Because of the beautiful shape of the meteorite the scientists were initially uncertain about where to cut the necessary type specimen mass. 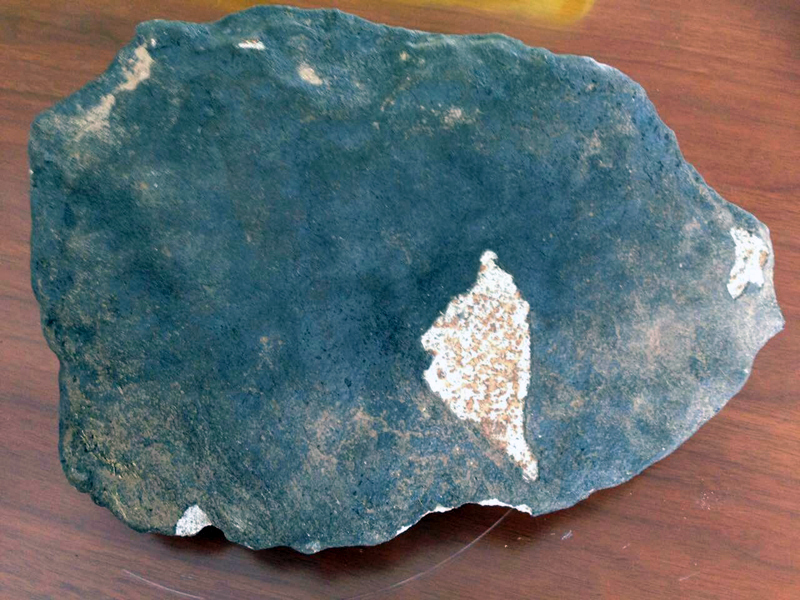 In the end it was Gàn Jīnlóng (干金龙) who decided to have it cut off at one protruding edge of the meteorite. 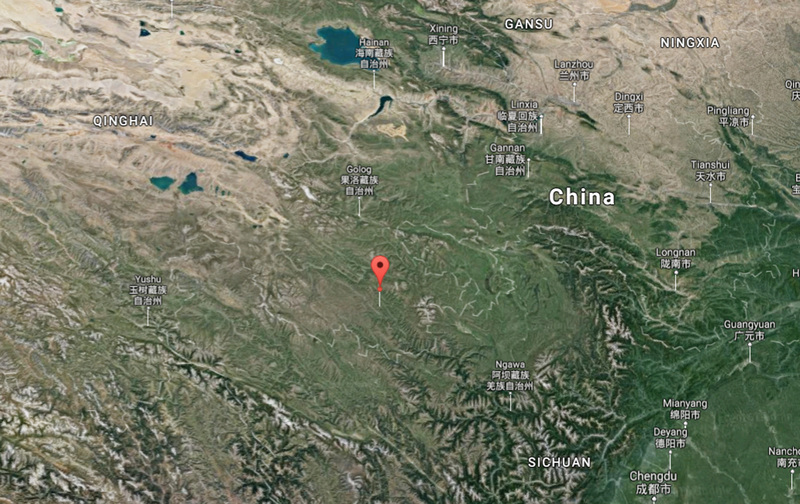 Xú Wěibiāo (徐伟彪) suggested the official name Banma (班玛), although Mǎn Zhǎng Xiāng (满掌乡), which is situated in the neighbouring Dárì (Darlag) county (达日县/དར་ལག་རྫོང), is closer to the actual fall location. 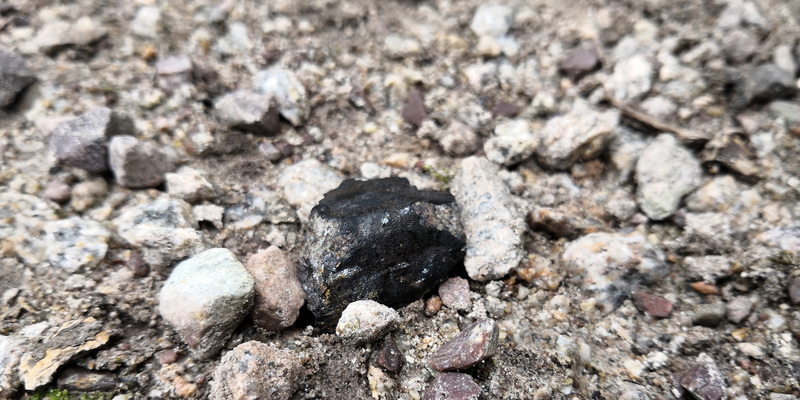 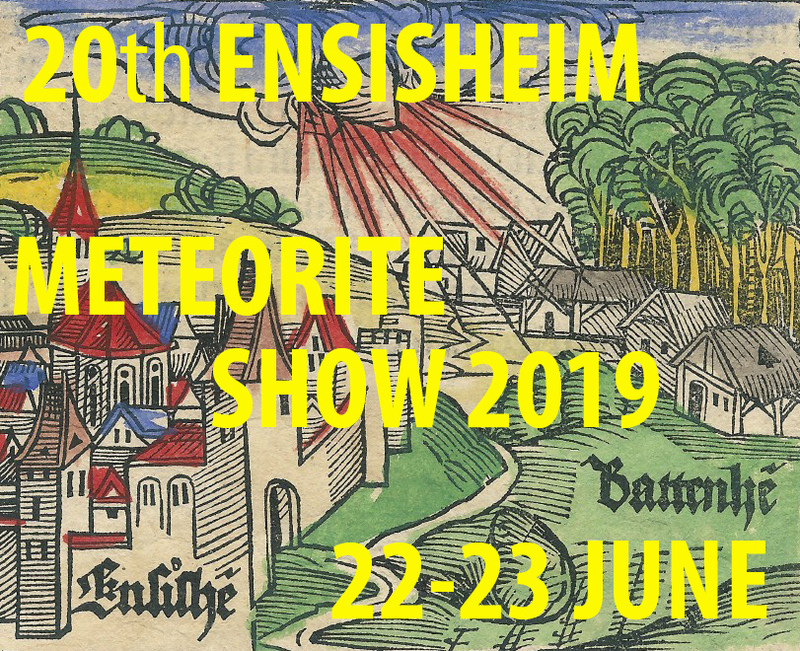 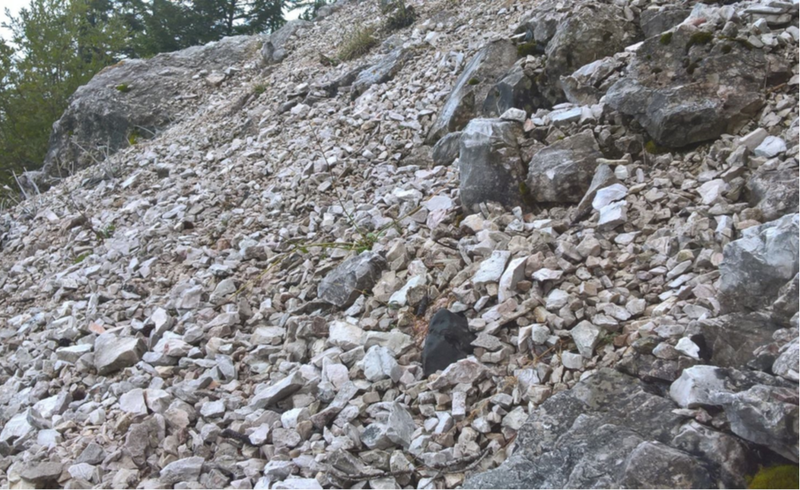 On 8 September Xú Wěibiāo submitted the classification data to the Meteorite Nomenclature Committee (NomCom) of the Meteoritical Society to have the name Banma approved and registered in the Meteoritical Bulletin and the Meteoritical Bulletin Database. 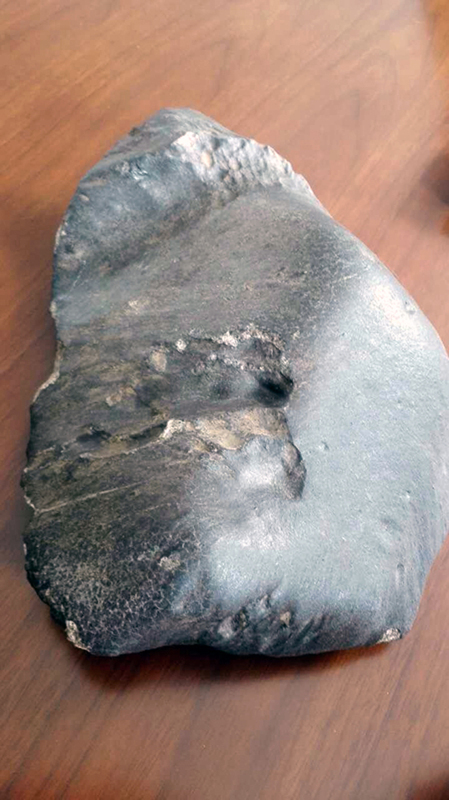 On 15 October 2016 the meteorite was officially registered in the Meteoritical Bulletin Database as BANMA (L5, S2). 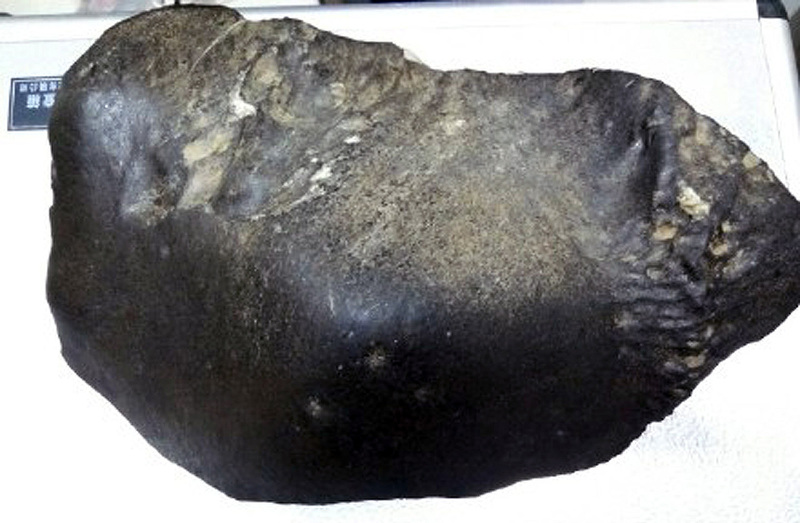 It is planned that the meteorite (currently in the Banma City Hall) will be exhibited in the collection of the Banma County Museum. 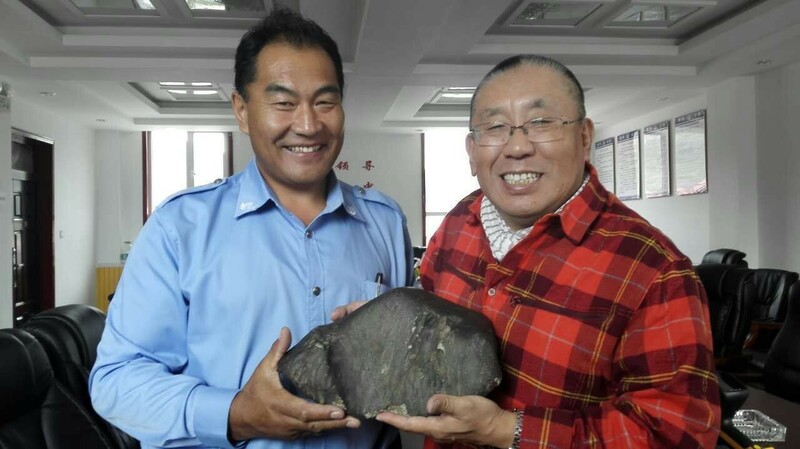 The Banma county government has confirmed its intention to curate the meteorite well and to popularize scientific knowledge about meteorites. 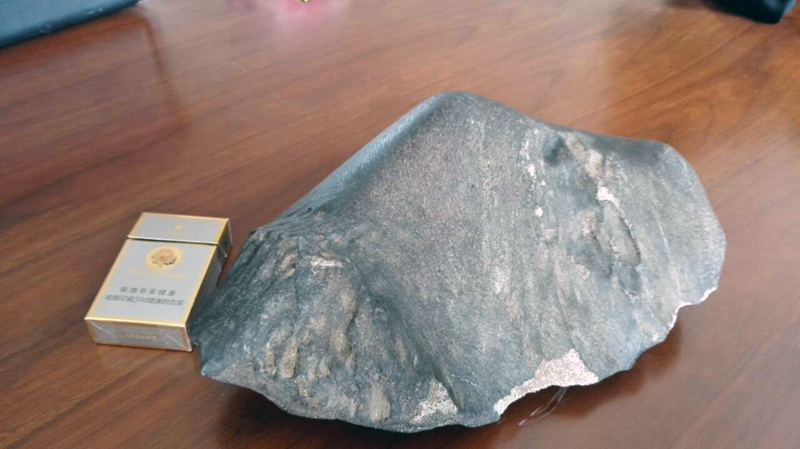 On the occasion of the cornerstone ceremony of the Shanghai Planetarium on 8 November 2016 Zhāng Bó (张勃), a Shanghai citizen, donated a fusion-crusted 3-gram-fragment of the Banma meteorite to the Shanghai Science and Technology Museum. 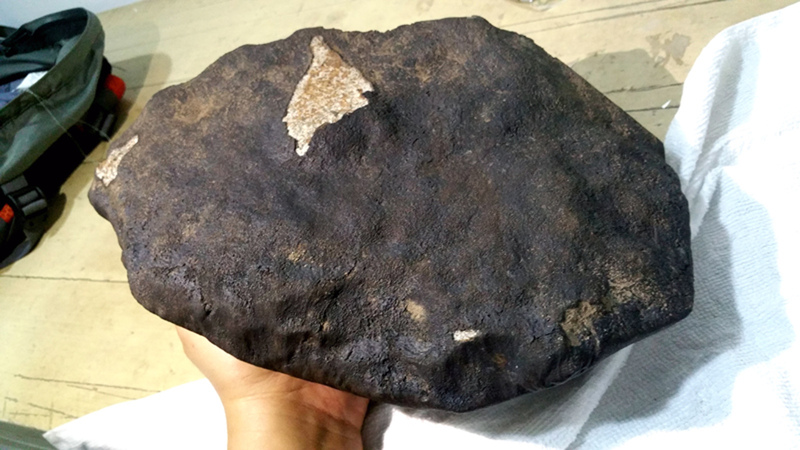 The fragment will be on public display after the completion of the planetarium, which is planned for 2020. 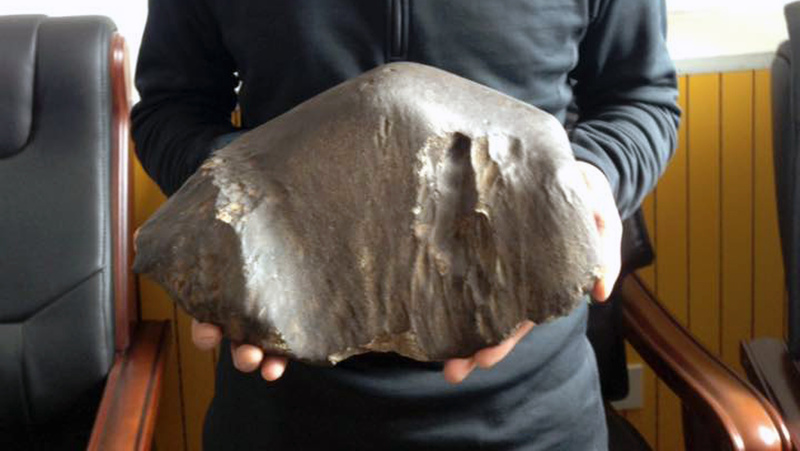 The 10.05 kg meteorite. 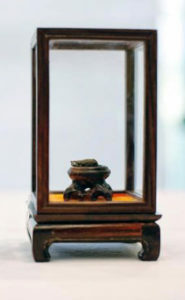 The photo shows Gàn Jīnlóng (干金龙) presenting the leading side of the meteorite with its regmaglypts. 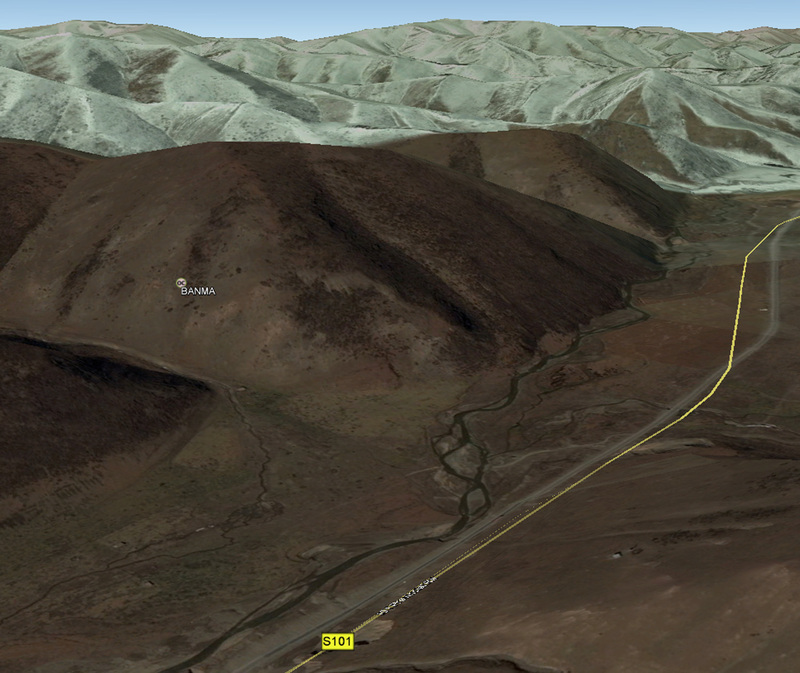 Graphic model of the fall location on the southeastern slope of a hill.